Looking for ways to help out salamanders, frogs, dragonflies and other beneficial insects? 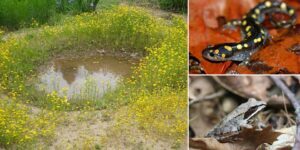 Consider creating a vernal pool on your property. Mike Hayslett of Virginia Vernal Pools LLC will lead a two day workshop, in which participants will gain hands-on experience by participating in the construction of two vernal pools on PEC’s Roundabout Meadows farm property near Gilberts Corner. Vernal pools are seasonal pools that are covered by shallow water for variable periods from winter to spring, but may be completely dry for most of the summer and fall. They are important habitat for amphibian and insect species during their breeding seasons. The workshop is geared towards landowners whose property contains some forest, as well as an existing stream or wetlands. Land management professionals or environmental consultants who would like to know more about vernal pool installation are also welcome. The workshop will consist of a classroom session and a field session. Participants should be prepared to be outside for ~8 hours. 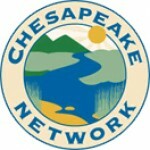 Natural Resource/Landscape Design Professionals that have the Chesapeake Bay Landscape Professional certification can use a discount code (email for details) which reduces the ticket price to $15 from $30. Questions? 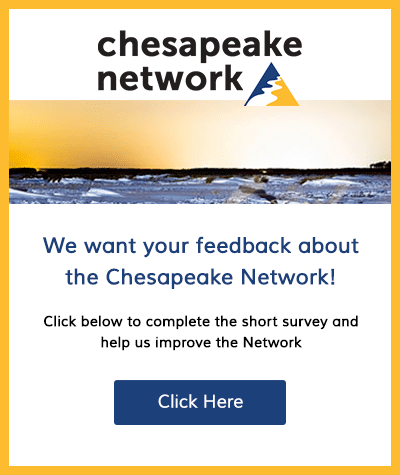 Contact Celia Vuocolo at cvuocolo@pecva.org or 540-347-2334. Banner photos by Cliff Hutson, Peter Paplanus and Ezra Peregrine.